Paris - Footballers union FIFPro blasted "transfer market madness" Thursday, claiming Neymar's world record €222 million move from Barcelona to PSG illustrated how the sport has become "the domain of a select group of rich, mostly European-based clubs". "FIFPro is calling on the European Commission to investigate the flow of money via transfer fees within the EU territory to understand their impact on competitive balance in the region," said the union's general-secretary, Theo van Seggelen. "The world record transfer of Brazilian Neymar from Barcelona to Paris Saint-Germain is the latest example of how football is ever more the domain of a select group of rich, mostly European-based clubs." 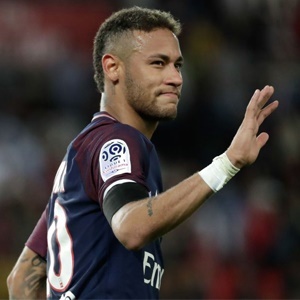 Neymar's move caused shockwaves in the transfer market with the effects still being felt. FIFA said Thursday it was even investigating Neymar's complaint over an unpaid loyalty bonus from Barcelona. Barcelona are refusing to pay a €26-million bonus to Neymar for signing a five-year contract renewal last year. The Catalan giants are seeking €8.5 million in compensation from Neymar for breach of contract following his transfer. "FIFPro claims an inflated and distorted market, with escalating transfer fees at the heart of it, has helped to destroy competitive balance. The transfer rules governed by FIFA are anti-competitive, unjustified and illegal," added the players union. "FIFPro's legal complaint to the competition unit of the European Commission, lodged in late 2015, is designed to help rebalance football and bring an end to the transfer market madness, for the good of the game, all players, clubs and fans."